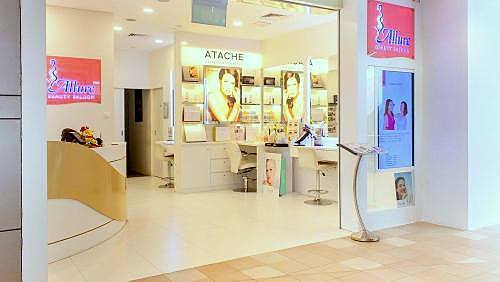 Allure Beauty Saloon has a network of five locations in Singapore, including one within City Square Mall (180 Kitchener Road). Established in April 2002, Allure Beauty Saloon specializes in offers high quality facial treatments, eye care treatments, as well as lip care treatments. For facial treatments, the options include Active Cell Renewal Treatment, Bio Plus Treatment with Ampoule, Collagen Shock Treatment, Placenta Shock Treatment, and Algae Active Mask Treatment. Eye care treatments, meanwhile, feature eyebrow embroidery, creative eyebrow, as well as eyelash extension. You can also get lip care treatments, especially for lip enhancement. The official Allure Beauty Saloon Facebook brand page is located at www.facebook.com/allurebeautysg. Following the Facebook page, you can learn more about the saloon chains treatments, special offers and promotions, as well as events.